Need to integrate to an external system and access your contacts? 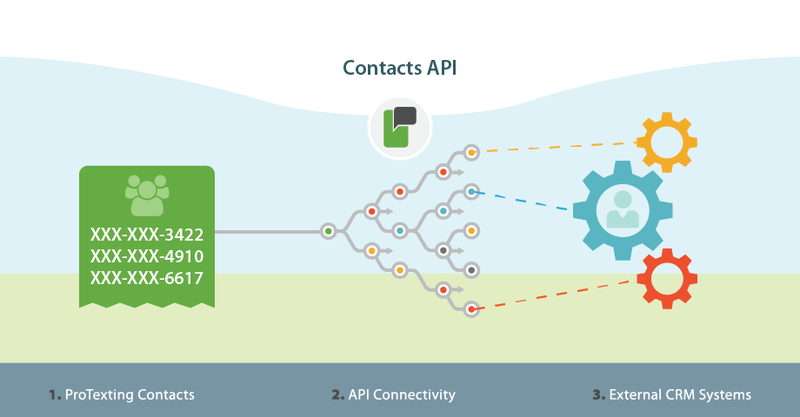 Not a problem, ProTexting offers extensive API so that you can manage your contacts quickly and efficiently. The app will allow you to synchronize your contacts’ database with any external CRM that has an API as well. You will need a developer to build the integration, which is outlined in our API docs. In case you need to send out SMS to your contacts, you can use our SMS API too. By using both apps, you will have FULL access to our platform and will be able to manage your contacts and SMS traffic.